American beauty Uma Thurman is best known for her variation in her acting career as she has demonstrated her skills in romantic comedies and dramas as well as science fiction and action movies. Thurman has also made appearances in various independent films, including the 2001 camcorder drama film Tape starring her ex-husband Etan Hawke. 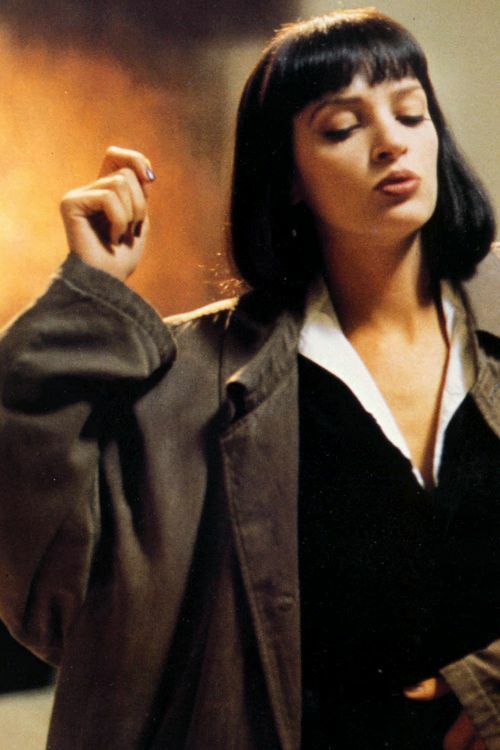 Thurman's major role in her career was the 1994 crime film Pulp fiction where she portrayed the role of Mia Wallace for which she was nominated for the Academy Award and was able to grab the attention of viewers globally. Directed by Quentin Tarantino, the movie features actors like John Travolta and Samuel L. Jackson. Keep on scrolling while we will be advancing towards the more details on the 47 years old film star's professional career, movies, and awards. Thurman began her career as a fashion model when she was 15, modeling for Glamour and then featuring on the cover of British Vogue in 1986. Till now, she has been in more than 55 big screen roles and also made several television appearances. In 1988, Thurman entered the film industry and appeared with Robert Downey Jr and Anthony Michael Hall in her debut film Johnny Be Good. That year she starred in four movies including the psychological thriller film, Kiss Daddy Goodnight. Thurman's one of the best-known role of her career was in Quentin Tarantino's Kill Bill film series in 2003-2004. She played the role of the assassin Beatrix Kiddo which was specially written for her while both the volumes of the film was huge box office hit. While filming Kill Bill, Thurman suffered a serious injury while performing her own stunt. Thurman presented an astonishing performance as the first installment of the film in 2003 collected over $180 million worldwide against its budget of $30 million. Then in 2005, she was cast in the sequel of Get Shorty, Be Cool and reunited with her Pulp Fiction castmate John Travolta. She also starred in the romantic comedy Prime and musical comedy, The Producers that year. Thurman also appeared in the European two-part art film Nymphomaniac in 2013 as it was her first time working with Shia LaBeouf. A year ago in April, Thurman became the president of the Cannes Film Festival and the same year she starred in Tim Hill's War with Grandpa and also made her debut in the Broadway theatre. Furthermore, Thurman portrayed the famous DC's supervillain Poison Ivy against the Batman played by George Clooney in the 1997 superhero film Batman and Robin. Thurman was ranked at the 20th place by the Empire magazine in their '100 Sexiest Stars in Film' in 1995 and was at no. 99 in its 'Top 100 Movie Stars of all Time'. GQ also named her as one of the'100 hottest women of 21st century. Following her role in Pulp Fiction and the Kill Bill film series, the American rock band Fall Out Boys released a song Uma Thurman in 2015. She mentioned on the Today Show that she was delighted to gain that tribute. Thurman was nominated for two Golden Globes for her role in Kill Bill Volume1 and she won a Saturn Award, Empire Awards, and an MTV Movie Awards for Best actress while she got 19 nominations in different award ceremonies for the Kill Bill series. She also owns a Golden Globes for Hysterical Blindness, 2003.